Rewarding Times has teamed up with the Restaurants' Association of Ireland, and 3 of its awarding winning members to offer you Gourmet Restaurant Week. 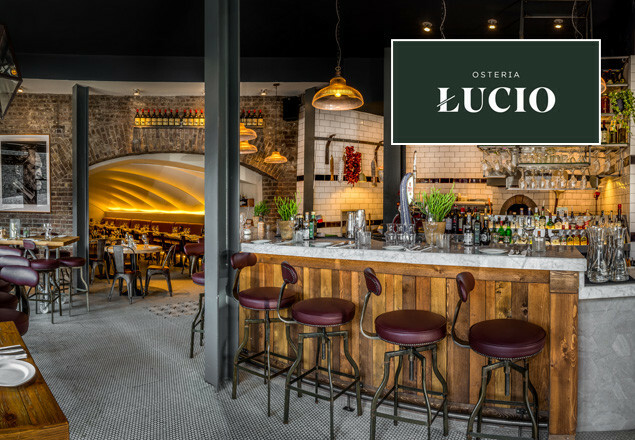 In this exclusive offer, we've teamed up with Osteria Lucio to give you the opportunity to enjoy a 4 course dinner for two with a bottle of wine for €80. All menus are subject to change due to availability. The offer will be for a 4-course meal for 2 people and includes a bottle of house wine.